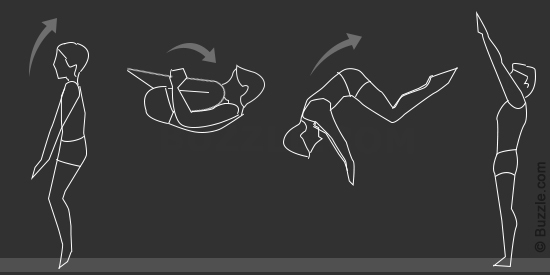 As discussed in the blog post about rigid body mechanics, the human body is typically modeled as a multilink system comprising several rigid body segments connected by joints. 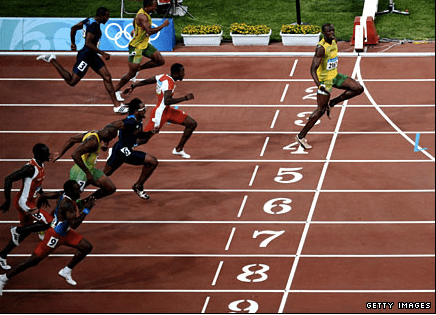 In biomechanics, a linkage of rigid bodies is referred to as a kinematic chain. A set of two adjacent links connected with one joint is called a kinematic pair. 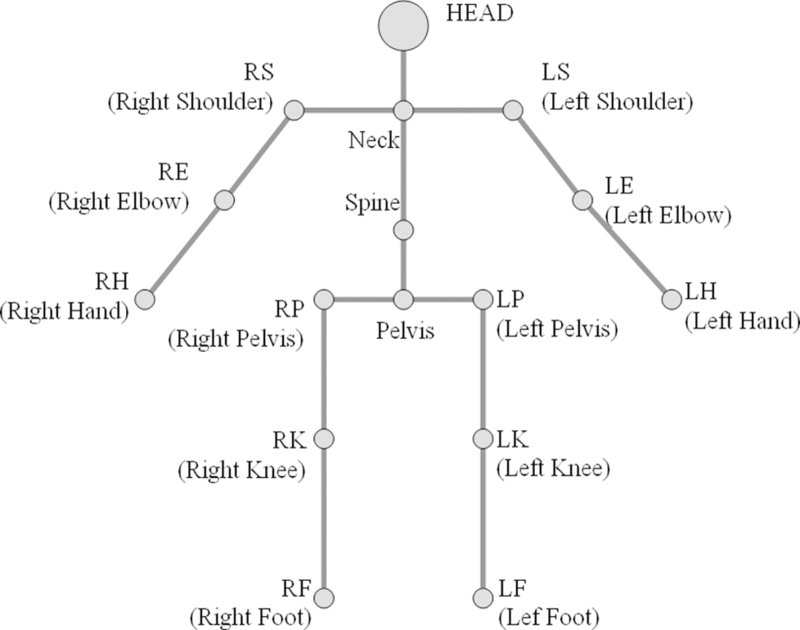 Kinematic chains are either serial (simple) or branched (complex). In serial chains, each of the links is part of no more than two kinematic pairs. A branched chain contains at least one link to that is part of more than two kinematic pairs. A human leg or arm can be considered a serial kinematic chain. When the trunk is also considered and articulations within the trunk are ignored, the chain is branched. The trunk enters five kinematic pairs: the 2 hip joints, the 2 shoulder joints, and the trunk-neck articulation. Kinematic chains are also further classified as open or closed. The kinematic chain is referred to as open if one end of the chain (e.g., the distal segment) is free to move with end effector mobility. In closed chain, constraints are imposed on both ends of the chain. 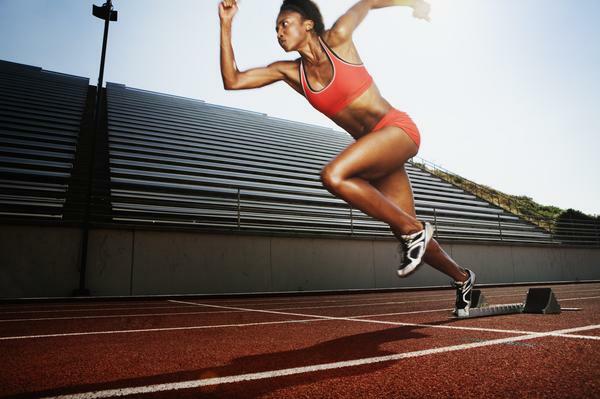 Non-support (NS): such as in sprinting during the airborne phase, a high diver, or a gymnast performing an aerial. Single support (SS): such as in walking, running, or throwing activities. Double support (DS): such as in the golf swing, baseball swing, throwing motion, or jumping activities. Triple support (TS): such as walking with a cane. Quadruple support (QS): such as walking with support rails. 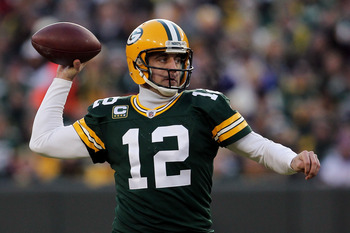 Open loop (OL): such as in running or throwing motion. 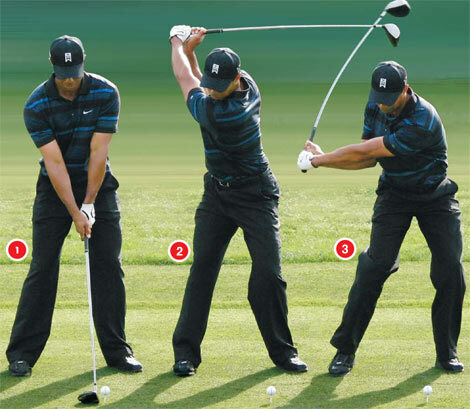 Single-closed loop (SL): such as in the golf swing or baseball batting. 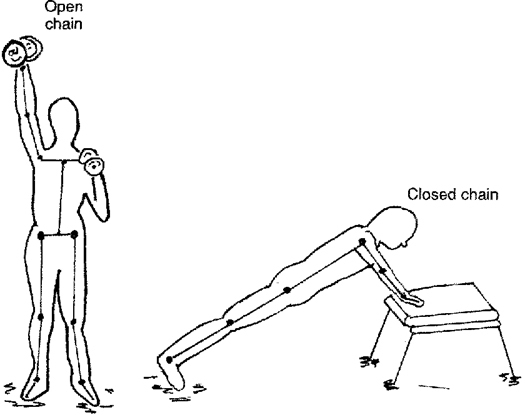 Double closed loop (DL):such as in figure skaters or gymnast with hands constrained body. 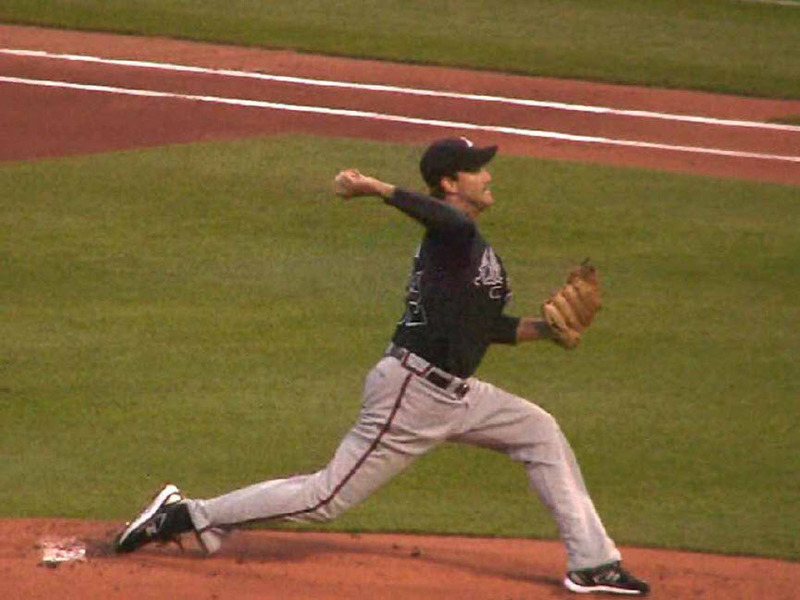 A pitcher in single leg support (SS-OL). A pitcher in double leg support (DS-OL). A baseball batter in stride holding onto a bat (SS-SCL). 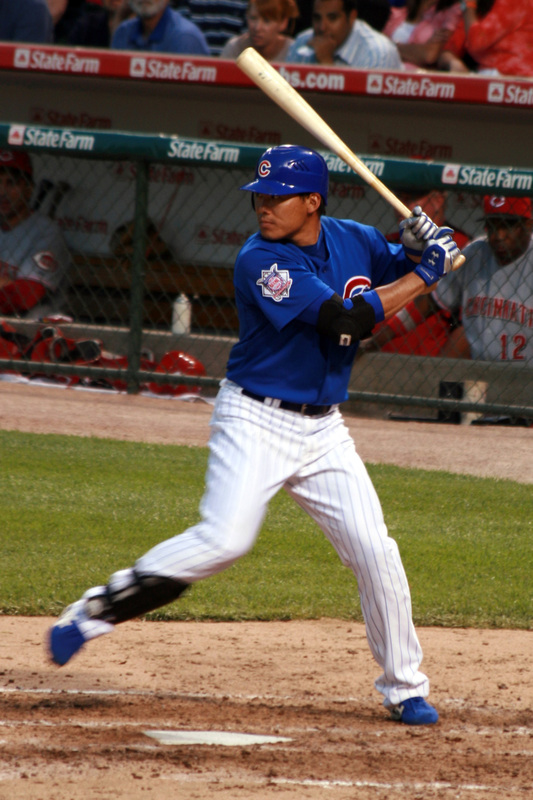 Some sports activities are harder to describe and analyze because the athlete will change the kinematic chain body positions during the activity: baseball pitching is one of the more difficult sports motions to understand loading as the pitcher goes from SS on pitching side leg, to DS during powerful hip and shoulder rotations, to SS on glove side leg at the finish. This change in loading scenarios with external systems causes a lot of confusion. Baseball batting mechanics also exhibit a similar pattern (SS-SCL to DS-SCL).